by Dr Matt Moody, Ph.D.
* How to Search the FamilySearch.org Historical Database. * Attaching Vital and Census Records to an Ancestor's Person Page. * Entering or Editing Vital Information for each Ancestor. * Cleaning Up and Correcting a Confused Family Tree. * Merging Duplicate Records within the Family Tree Database. and You're Likely Related to Him, Too! 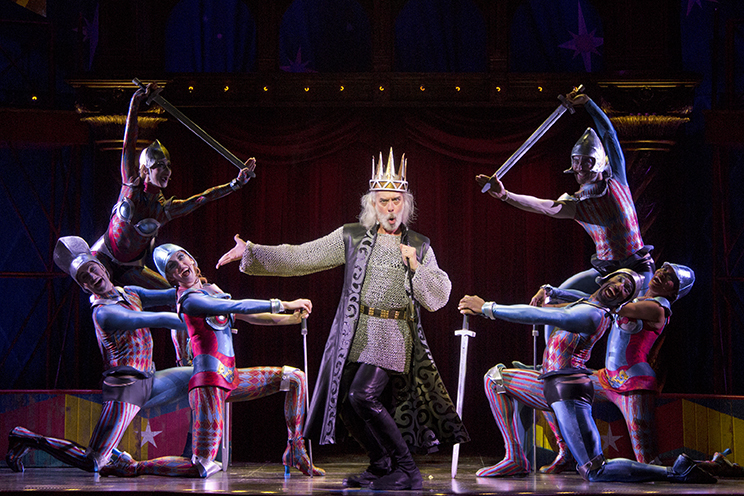 While on a trip to New York, I saw the Broadway play "Pippin." It's a story about how the son of King Charlemagne, Prince Pippin, is trying to find the meaning of life -- to find his "Corner of the Sky" as the song goes. He tries to find life's meaning through money, fame, pleasure, and power, but none of these pursuits bring him happiness. He finally discovers joy in a love relationship with a single mother. 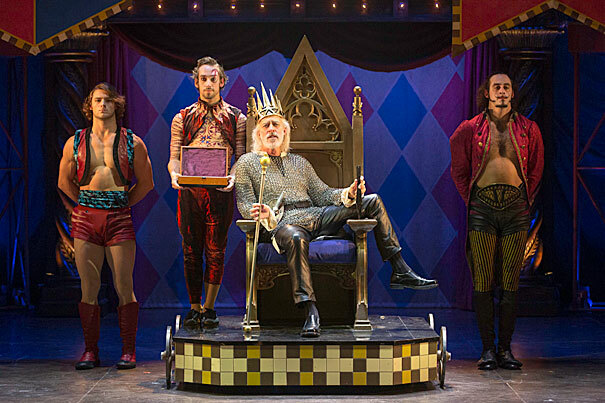 Ever since I saw this Broadway play, I've been fascinated with King Charlemagne and Prince Pippin. Recently, I started climbing my Family Tree at FamilySearch.org and just kept climbing through family lines that kept going back and back -- 1600's and then the 1300's and the 900's and I finally found Prince Pippin (785 A.D.) and King Charlemagne (742 A.D.), both born in France. 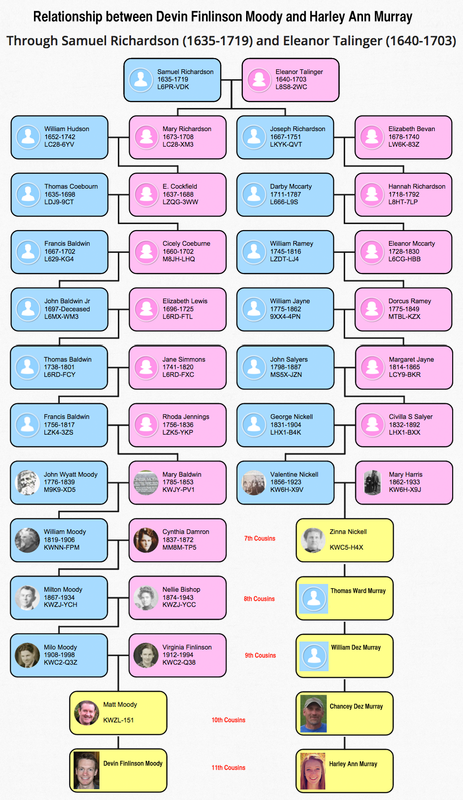 I found this connection through a random Tree Climbing, and I've since discovered that, beginning from 5 of my 8 great grandparents, I can trace each family line to Prince Pippin and his father King Charlemagne: Emperor of the Holy Roman Empire. Truth is, most everyone who has ancestors in Great Britain will likely find ancestors across the English Channel into France, and end up being related to Pippin and Charlemagne! Let me explain why. One reason that all genealogical roads lead to King Charlemagne is because the further you go back in time, it is the "royal lines" that survive -- because the "royals" had the money and means to make sure genealogical records were written and safely stored for posterity. And there is yet another reason why you and I and almost everyone else is related to King Charlemagne: in fact, there are a 100 million reasons! If you were born about 1966, then your parents, on average, would be born about 1933, and your grandparents 1900. So every hundred years, there are at least 3 generations in an individual's Family ancestry. Now, it's possible that there could be 4 generations in a hundred years period -- when a person's ancestral line passes through children born at the top of the birth order, and when parents married early, around age 20. For example: You is you were born about 1975, your parent were born about 1950, your grandparents were born about 1925, and finally your great grandparents were born about 1900. But some parents marry later than age 20, and some children are born deeper into the birth order, 10 or more years after a couple has been married. For example, my mother gave birth to me when she was 44 years old. * The earth's population in 1000 AD was about 250,000,000 -- so the mathematical doubling of great grandparents in earlier generations hits a bottle neck at a certain point. This means that further mathematical doubling doesn't really occur because the "doubling totals" are MORE than the population of the earth at a particular time in history. Even though one person could theoretically have 1 Million 18th great grandparents from the early 1300's, the number of contributing great-great grandparents is actually less, because 3rd or 4th or 5th (etc.) cousins end up marrying due to geographic proximity constraints; meaning, people have a limited number marital-partner choices within a geographical region. Thus patterns of propinquity create many duplications of great-great (etc.) grandparents in a person's family tree. If we just kept doubling the number of grandparents every generation, by the early 800's the number of 33rd great grandparents, for one person living in 2015, would be about 34 billion -- but that's impossible, because the population of the earth in the 800's was about 200 million. And the population of the earth in 2015 is just 7.3 Billion. Again, this means that the ancestral doubling, from one generation to the next, hits a bottle-neck at the year 1000 A.D., where the a person would theoretically have 250 million 26th great grandparents, AND the population of the earth is about 250 million. So as you climb higher and higher up a Family Tree, your ancestry will naturally begin to narrow, because the SAME 20th great grandparents can appear at the top of your Family Tree multiple times. Further, we know that the ancestral line MUST NECESSARILY NARROW at the top of the Family Tree. Why? Because the Human Family began with just 2 people, Adam and Eve! So, the reason why most Caucasians in North America and Europe will have Family Lines that pass through Prince Pippin and King Charlemagne of France, is because there are 100's of Millions of contributing great grandparents in every person's Family Tree at the 29th generation.